In April I am showing “The Negative”. 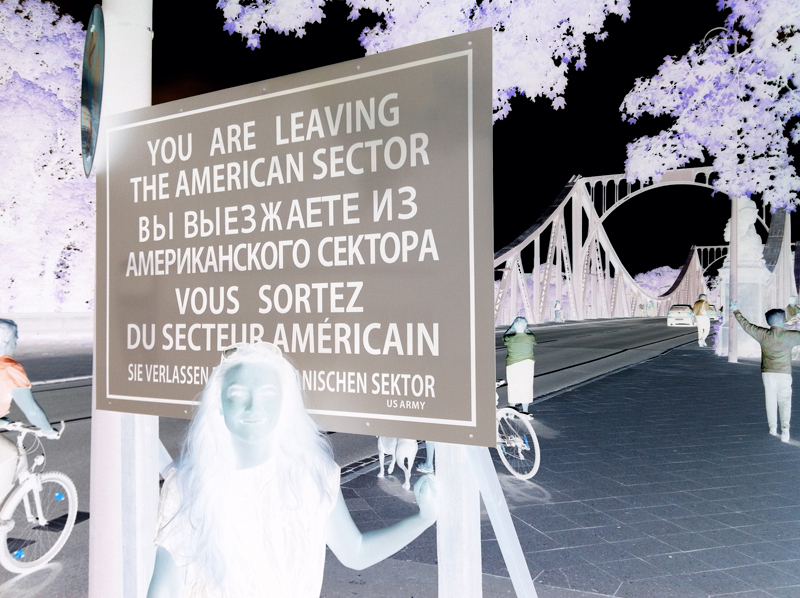 This is 1 Bridge-Performance photograph blown up (size 180 x 122 cm) in an invert (negative) exposure. The work is presented in a black wooden professionally hand-made frame standing horizontally placed against the wall.